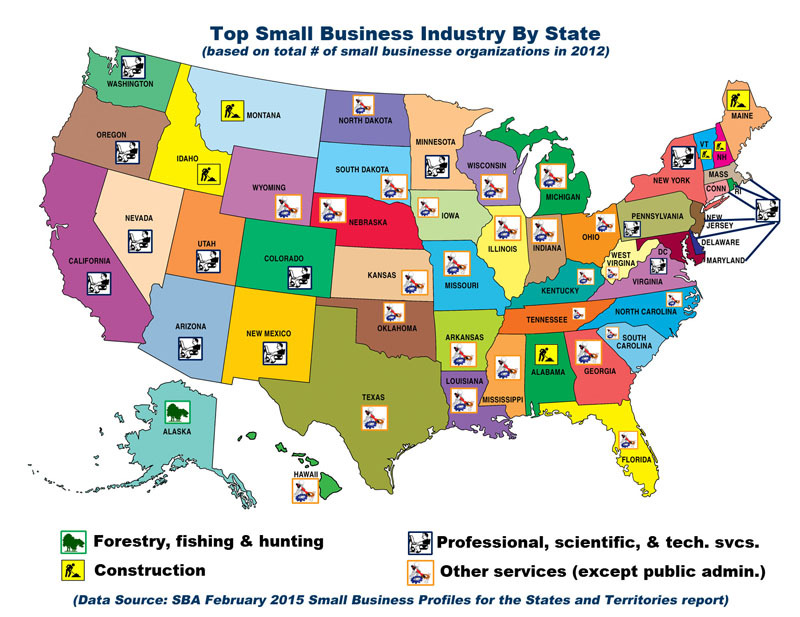 The Office of Advocacy, an independent division of the U.S Small Business Administration (SBA), recently release the February 2015 edition of their Small Business Profiles for the States and Territories report. The report provides data about the overall U.S. economy, data on U.S. small businesses as a whole, and reports on small businesses in each U.S state, territory, and the District of Columbia. 382,000 new small businesses were started in Q1 2014, and 364,000 closed for a net gain of 18,000 small businesses. 28.4 million small businesses were operating in the U.S.
56 million people were employed by small businesses in the U.S., accounting for 48.4% of all U.S employment. 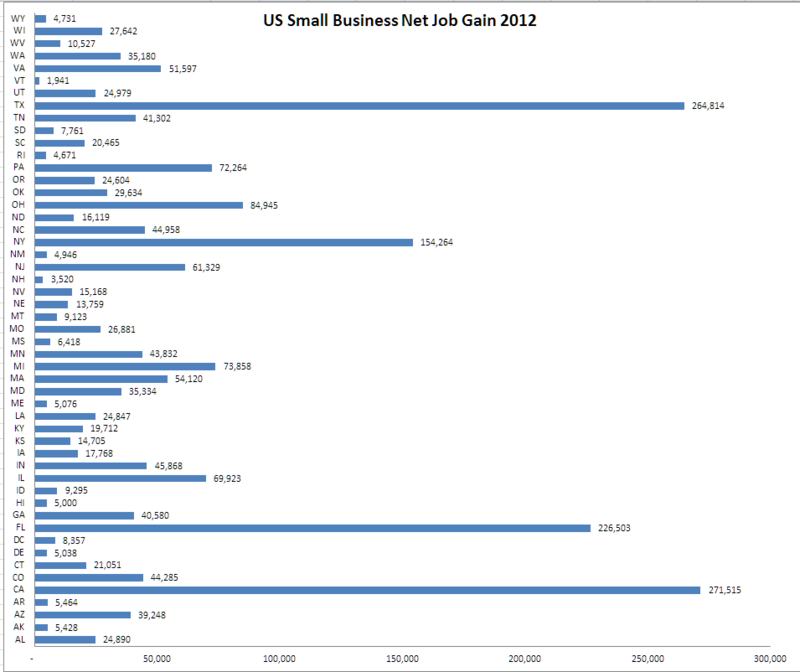 The top category for small businesses in the U.S. was “other services” accounting for 4,188,671 businesses in 2012, and 85.8% of all employees in this category. This category was also the leader for small businesses where the owner is the only employee. California tops the lists for number of small businesses started in Q1 2014, active small businesses in 2012, number of small business employees in 2012, and number of self-employed people in 2013. 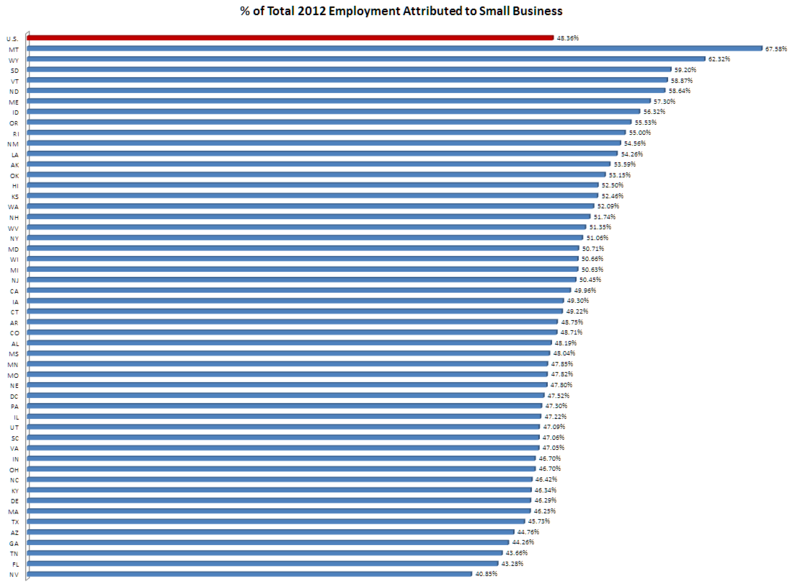 Montana has the most small business employees by percentage (68% of the state’s employed in 2012). 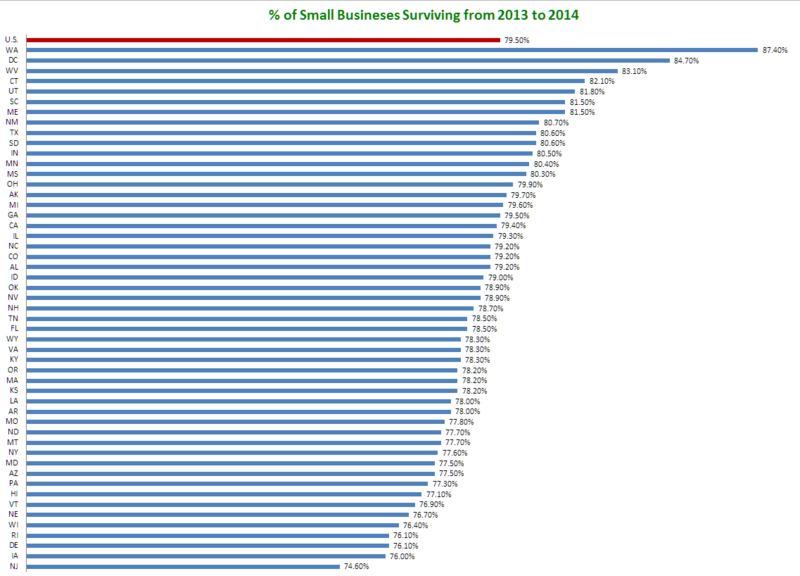 In Washington state, 87.5% of all small businesses started in 2013 survived to Q1 2014, making it the leader in that category. Washington, DC had the highest self-employed average income in 2013 at $91,644—a good $30,000 better than Massachusetts, which held the #2 spot. Montana and Vermont tied for the highest self-employment rate in 2013, at 13.6%. The report includes data sheets on each of the U.S states, and the final section provides a combined overview of the territories. The full data used for the study is available for download if you’d like to dig deeper into the numbers.